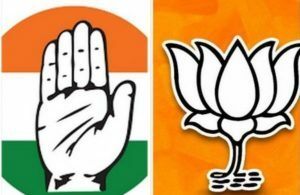 New Delhi : A day ahead of the final date of nominations for the Madhya Pradesh Assembly polls, the Bharatiya Janata Party on Thursday released the final list of candidates with the party deciding to drop two veterans — Babulal Gaur and Sartar Singh. The party also denied ticket to its national General Secretary Kailash Vijayvargiya for the single phase November 28 Assembly polls. Earlier in the day the party released the list of 32 candidates. The party then again announced the names for the remaining seven seats. As per the list, the party has fielded the daughter-in-law of Babulal Gaur, Krishna Gaur, from Govindpura Assembly constituency while Vijayvargiya has been replaced by Usha Thakur, the sitting MLA from Indore-3. Babulal Gaur, a former Home Minister, was forced to resign on the grounds that his age was over 75. 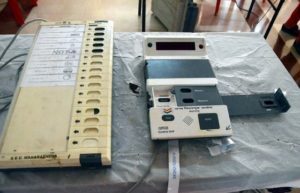 He represented the Govindpura Assembly constituency since 1980 and had threatened the party that if he or his daughter-in-law was not given a ticket, both would contest the polls independently. Vijayvargiya’s son Akash Vijayvargiya is set to begin his electoral politics from Indore-3, the constituency represented by Thakur. Senior Vijayvargiya, a close confidant of BJP Chief Amit Shah, has been more focussed on national politics especially after the saffron party for the first time formed its government in Haryana. The party’s victory in Haryana was credited to Vijayvargiya. The party also denied ticket to its former PWD minister and veteran party leader Sartaj Singh. He has been replaced by Prem Shankar Verma from Seoni-Malwa constituency. As the saffron party denied ticket to him, he joined Congress. 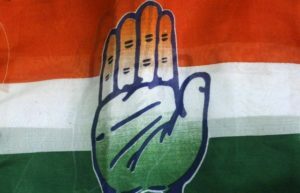 The Congress has fielded him from Hoshangabad assembly constituency. 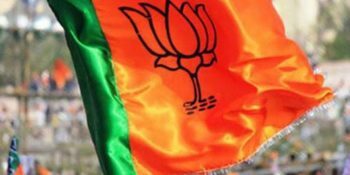 The BJP has fielded Ajit Premchandra Borasi, son of former Ujjain MP Prem Chand Guddu from Ghatiya Assembly constituency by denying ticket to its sitting MLA Satish Malviya. Besides Gaur, Vijayvargiya and Malviya, the BJP has also dropped its sitting MLAs Narendra Kushwaha from Bhind, Mukesh Singh Chaturvedi from Mehgaon, Ghanshyam Pironia from Bhander and Govind Singh Patel from Gadarwara among others. Prahlad Singh Lodhi, who had earlier filed nomination as a Samjawadi Party candidate from Pawai, also figured in the BJP’s final list. The party has fielded him from the same constituency. The BJP had earlier fielded Brijendra Singh from Pawai. Singh has now been shifted to Panna assembly constituency. There are 230 seats in Madhya Pradesh, where the saffron party has been in power for three consecutive terms.